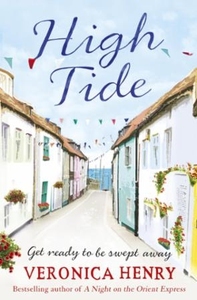 *Shortlisted for the RNA Contemporary Romantic Novel of the Year 2016* Pennfleet might be a small town, but there's never a dull moment in its narrow winding streets ... Kate has only planned a flying visit to clear out the family home after the death of her mother. When she finds an anonymous letter, she is drawn back into her own past. Single dad Sam is juggling his deli and two lively teenagers, so romance is the last thing on his mind. Then Cupid fires an unexpected arrow - but what will his children think? Nathan Fisher is happy with his lot, running picnic cruises up and down the river, but kissing the widow of the richest man in Pennfleet has disastrous consequences. Vanessa knows what she has done is unseemly for a widow, but it's the most fun she's had for years. Must she always be on her best behaviour? As autumn draws in and the nights grow longer, there are sure to be fireworks in this gloriously engaging novel from Veronica Henry, author of A Night on the Orient Express.